BBC Radio 4 - The Forum, The New Curators: Who Decides What's Culturally Important? The New Curators: Who Decides What's Culturally Important? How curation has changed from static museum exhibits to algorithmically-chosen digital music collections. Some of us live in an age of super abundance - more things are being made and more information and goods are offered online than ever before. Yet the internet also means that we no longer have to leave our selections to other people. If we want, we can sift through options to make our own choices, personalise our preferences, and even enlist the help of machine recommendations to highlight what we might like. So in this brave new world, what is the role of a curator? Indeed, what does curation actually mean? With Bridget Kendall to explore the role of the modern curator, digital publisher Michael Bhaskar, the artistic director of the Serpentine Gallery in London, Hans Ulrich Obrist and Tasneem Zakaria Mehta, the director of one of India's most iconic museums, the Dr. Bhau Daji Lad Mumbai City Museum in Mumbai. 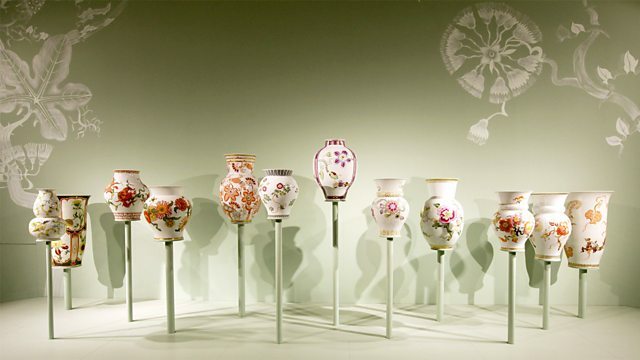 Photo: Early 20th century, ornate porcelain vases on display at an exhibition. (Getty Images). Michael Bhaskar is a writer, researcher and digital publisher. He is Co-Founder of Canelo, a new digital publishing company. His new book, ‘Curation: The Power of Selection in a World of Excess’ explores new meanings of curation. Michael is interested in how the art of selection can be as important as that of actual creation and the idea that whilst algorithms ‘curate’ to some degree, human selection will always be essential. Hans Ulrich Obrist is Co-director of the Serpentine Gallery in London. He has co-curated over 250 exhibitions since his first exhibition, the Kitchen show (World Soup) in 1991. Hans is interested in what he describes as the four key roles of the curator: preservation, selection, contributing to art history, and exhibition and feels that curation is fundamentally about creating ‘junctures’ and expanding the definition of art. Hans has written several books on curating including most recently, ‘Ways of Curating’, a compendium of insights gathered over many years. Tasneem Mehta is an art historian, writer, curator, designer and museum expert. Ms Mehta is the Managing Trustee and Honorary Director of the Dr. Bhau Daji Lad Mumbai City Museum in Mumbai, a post she has held since 2003. Ms Mehta conceptualized, curated, designed, and implemented the restoration and revitalization of the Dr. Bhau Daji Lad Museum (formerly the Victoria and Albert Museum), which went on to win the UNESCO Asia Pacific 'Award of Excellence' for Cultural Conservation in 2005. She is interested in how context and curation influence each other and the role of a museum in a city like Mumbai and how that has changed. And also exploring the interaction between the historical and the contemporary by bringing new art and new forms into conversation with the archive and the history of the building.